It's the most advanced microgrid ever developed. With the Tesla and SolarCity merger finally closed, the two energy companies have another collaborative success to celebrate. Tesla announced the completion of the solar energy project on the island of Ta’u in American Samoa in a tweet this Tuesday, accompanied by a video of the site. 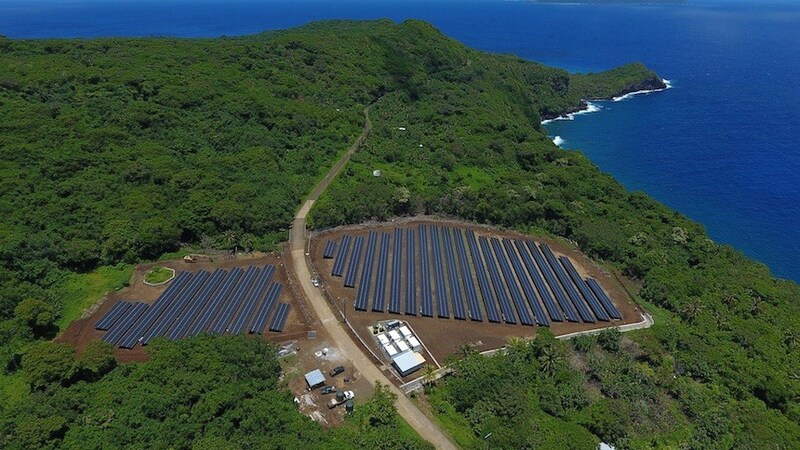 The Ta’u microgrid — an energy system with distributed sources, in this case solar and battery — is powered by a 1.4-megawatt solar array, coupled with a six-megawatt hour energy storage system of 60 Tesla Powerpacks. Supposedly, it can continually power the city for three days even when the sun doesn’t shine too brightly. Originally, Ta’u depended on diesel generators for electricity. On average, these consumed more than 100,000 gallons of fuel every year to provide electricity to almost 600 residents. It’s a rather costly business, with diesel transport eating up most of the island’s energy budget. With the microgrid – which was also funded by the American Samoa Economic Development Authority, the Environmental Protection Agency, and the Department of Interior – Ta’u expects to save on energy costs in the next few years. Ta’u is not a postcard from the future, it’s a snapshot of what is possible right now. Renewable power is an economical, practical solution for a growing number of locations and energy needs, and islands that have traditionally relied on fossil fuels can easily transition to microgrids powered by solar and storage today. Using renewable energy is certainly the way forward. Thankfully, the world doesn’t lack in projects that promote cleaner energy sources. Other efforts also focus on solar energy, such as Dubai’s push for clean energy, while some use tidal waves, like in Hawaii. The growing demand for renewables is even making them cheaper than fossil fuels. Renewable energy is certainly the way to a sustainable future for the planet.